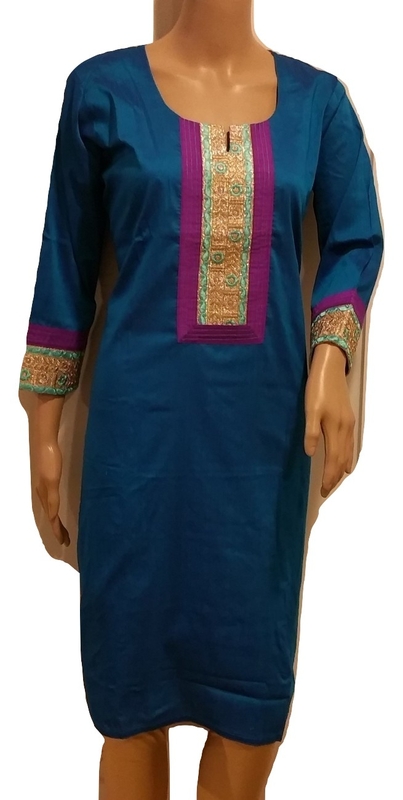 This item in Indian Kurtis & Tunics category was first added to our catalog on 08-24-2018. 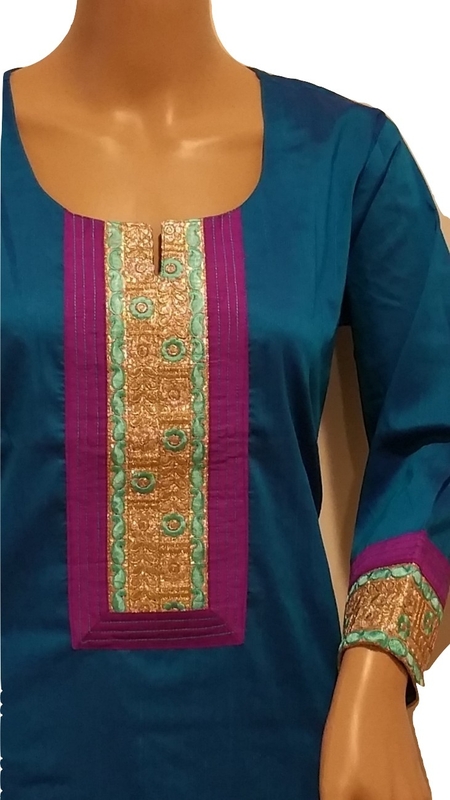 Buy Glittery Cotton Silk Kurti Tunic w/ Brocade on Neck & Sleeves Size XL/44, sold & shipped by Tunic Hub where you can shop online for Designer Kurtis, Salwar Suits, Leggings, Palazzos & Cute Nick Nacks. 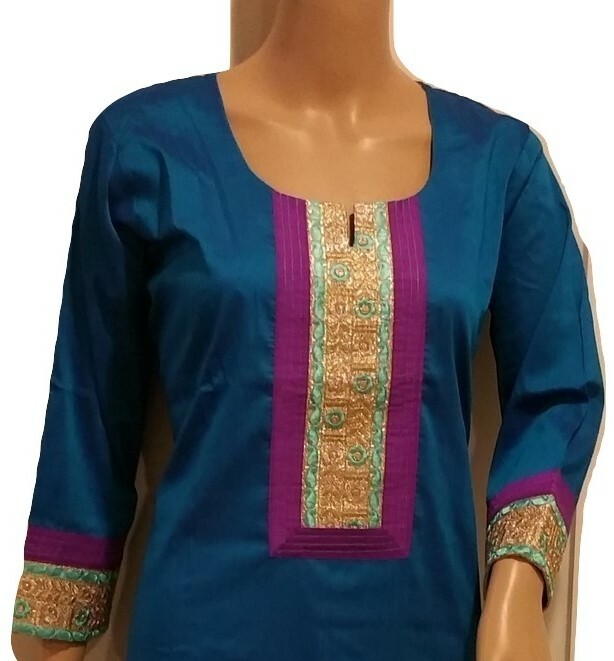 This Cotton Silk Kurti collection has been tagged as Kurti, Tunics, Designer Kurti, Designer Tunic, Cotton Silk, Kurti, Partywear, festive kurti, Bright, party, casual, pretty, simple, blue, firozi, turquoise.